Weekend, a comfy sofa, cold drinks, a nice movie, friends. What’s missing? Popcorn! It is hard to imagine the perfect movie date without these fluffy, tasty treats running through our fingers to our mouths. 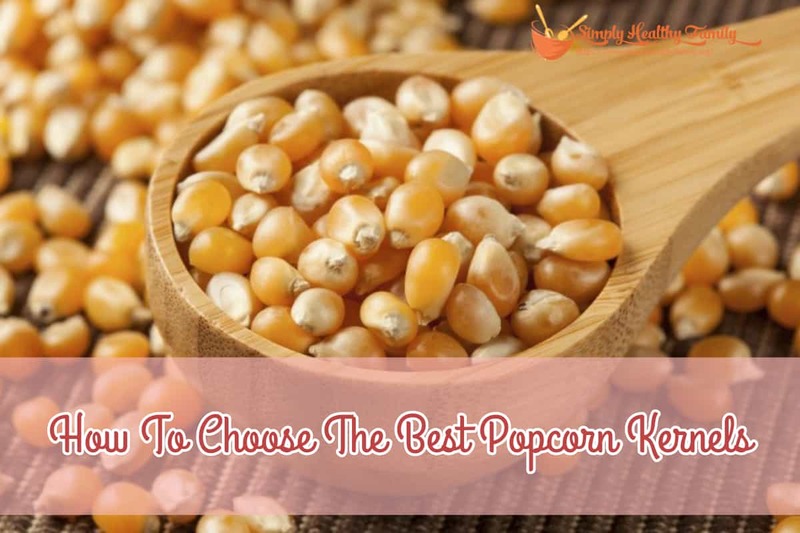 While flavored and ready-to-eat popcorns are available, it is better to choose the best popcorn kernels to make your own popcorns. Except when going to the movies where snacks from outside are not allowed sometimes, it is better to make your popcorn at home due to the following reasons. It is cheaper to buy per kilo or per pound of popcorn kernels than to buy popcorn on the stands. Yes, it might save you some time cooking, but, how hard can making popcorns be? If you really love popcorns while watching your favorite show, you will save tons of money buying kernels. When you buy popcorn from the stands, you don’t really know what was put in it. When you make your own popcorn, you can tweak it so that it will be healthier, that is if you are an advocate for healthy food. For example, you can use olive oil instead of regular vegetable oil. You can use vegan butter for flavor instead if regular butter. Just as it is possible to tweak the ingredients to make it healthier, it is also possible to customize the flavor according to your liking. You can replace salt with cheese powder. You can use chocolate syrup, caramel, the possibilities are endless. You might think that popcorn kernels are all the same, regardless of brand or price. There are actually a few variations of popcorn kernels and I am going to tell you how might get the best one for every situation. Most of the food grown today are based on GMO or genetically modified organisms. These are bred artificially and infused with chemicals to boost their growth and be harvested as early as possible. However, some of the chemicals are passed on to us upon ingestion and it has harmful effects on our body. 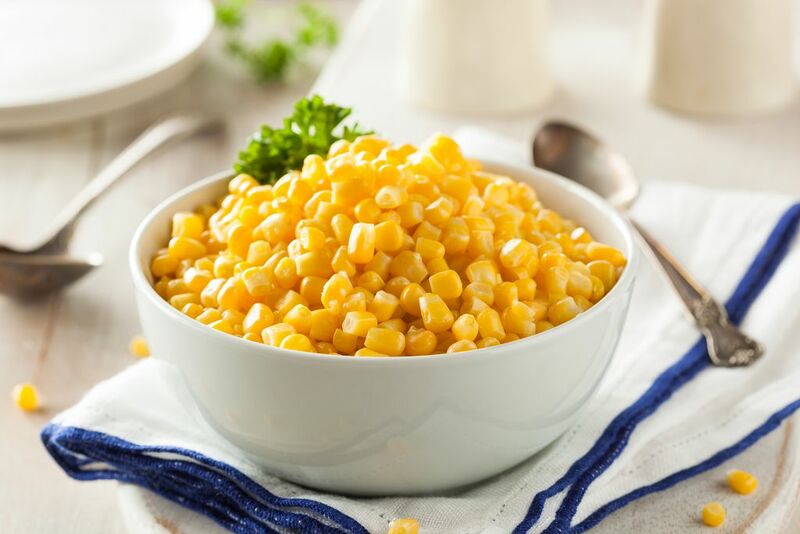 Choose kernels that are GMO-free or harvested from organically raised corns so that you know that you are not eating chemicals or anything that can harm the body. There are flavored popcorn kernels that you can buy from the stores. 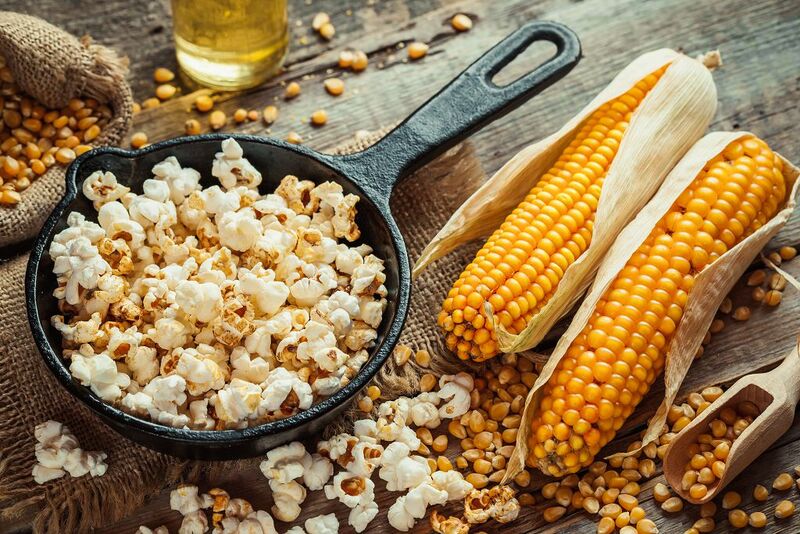 But if you want to customize the flavor, choose kernels that are good for absorbing flavoring so that it wouldn’t just fall to the bottom of the bowl while the popcorn remains bland. When you use oil in cooking popcorn, the surface can be good enough for the flavors to stick. If you use an air popper, it will be dry since you don’t have to use any oil. You apply butter or nonstick cooking spray to the popcorn and apply flavorings. There are several means of cooking popcorn. Choose the one that you think is the best for you. When you cook popcorn on a stove, you use a hot pan with oil. The worst thing that can happen is kernels getting soaked in oil and cooked without popping. The first tip is to choose kernels that are round in shape. Kernels with this shape tend to withstand high heat and pops open big enough for a nice popcorn. It also cooks evenly compared to elongated kernels. Click here for a video that shows how to cook perfect kernels through the stove. We are not talking about microwave popcorn that are a tad expensive. 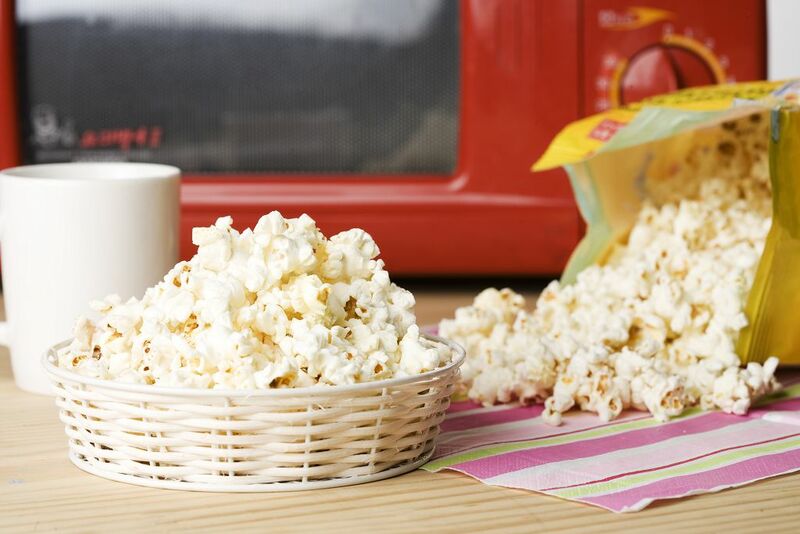 We can make homemade microwave popcorn by using regular popcorn kernels. Again, the best kernels for this is the round ones. Cooking through the microwave requires applying oil to the kernels, and the rounded kernels are the best in even oil absorption and even cooking. All you have to do is get a paper bag, put the kernels in, put oil, and shake for about a minute to spread the oil evenly before putting in the microwave. Cook in high heat for about 90 seconds. Enjoy. This is the healthiest of the three options because it doesn’t use oil in making popcorns. It uses hot air to cook the corn, cooking it from the inside out. The challenge in using an air popper is on how to get the flavor stick to the dry popcorn. Since it is dry, powdered flavors don’t attach itself well. As mentioned earlier, butter or cooking spray will do the trick. Here is my list of the best popcorn kernels available today. #2. 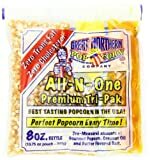 Orville Redenbacher's Gourmet Popcorn Kernels, Original Yellow, 8 lbs. If you want movie-caliber popcorn, then this is the kernel pack for you. In addition to its delicious flavor, it is very easy to prepare. All you have to do is heat a pan and put all the ingredients inside. The kernels, seasoning, and the oil are packed separately into segments. The packs are pre-measured so there is no risk of being bland or over-seasoning the popcorn. The kernels, seasoning, and the oil are packed into separate segments for easy and hassle-free cooking. The ingredients are measured for optimum taste. There is no need for guesswork. For best results, use a stove for cooking. You might come across some packs that might have lost its freshness due to storage or some other issues. The flavor is still there though. It will still be delicious. Health conscious? No problem. You can enjoy the light and fluffy goodness of this popcorn guilt-free. It is non-GMO, organic, whole grain, gluten-free, and is made of yellow corn. The taste is not compromised. In fact, it is made lighter and fluffier than ever. Cook it, put your favorite seasoning, and you are good to go. It is perfect whether cooked on a stove, air popper, or electric popper. Each pack contains 8 lbs. of yellow popping corn kernels. It cooks to perfection with a soft inside and a crunchy outside. The kernels are 100% natural, non-GMO, whole grain, and gluten-free. It is safe and healthy for everyone to eat. The kernels can be cooked perfectly whether through a stove, air popper, or electric popper. This is a bit more expensive than the other brands, but the quality compensates for the price. In some of the batches, there might be a high number of kernels that doesn’t pop well or doesn’t pop at all. This is another great selection for health enthusiasts. You can enjoy your popcorn without worrying about your weight, figure, and synthetic chemicals that might harm the body. This pack of popcorn kernel is 100% whole grain, gluten-free, vegan, and high in fiber. It doesn’t even have salt, oil, and preservatives. This is the perfect diet popcorn. It is vegan, 100% whole grain, gluten-free, and without any oil, salt, and preservatives. It is rich in fiber for good digestion. The high quality of popcorn is retained whether cooked on a stove or in the microwave. The popcorn doesn’t do well with air poppers. It doesn’t produce the same quality compared to being cooked in stove or microwave, and there is a high number of kernels that wouldn’t pop. If you are into flavorful, delicious popcorns, then this is the best for you. The good thing about this kernels is that the output popcorns have a lot of nooks and crannies for your seasoning to go in and hold on to. Toppings wouldn’t be wasted with this kernels. It is a healthy snack so there is no problem with getting as much. It is low in fat, high in fiber, and is whole grain. It is also non-GMO. This popcorn is made with non-GMO corn. It promotes good health. It is low in fat, high in fiber, whole grain, and is gluten-free. The popcorns have a lot of nooks and crannies where toppings can hold in. There is a very small percentage of kernels that wouldn’t pop. The popcorns created are smaller and more tender than your regular movie popcorn. The packing has no sealing, affecting the freshness. This popcorn has the least percentage of kernels that wouldn’t pop. Shelf life is also long as long as it is stored properly and sealed tightly. It creates nice, round, and big puffs that can even be at par with “jumbo” popcorns available today. It has nice little slots which can hold up seasonings and a firm yet soft taste. The kernels are made from yellow corn that creates popcorns which are fluffy yet crispy and never chewy. It pops almost 100% of the kernels all the time. It has a longer shelf life and doesn’t go stale for a long time. There is some batch that has a lot of hull in the popcorns. The best popcorn kernel for me is the Orville Redenbacher's Gourmet Popcorn Kernels, Original Yellow. Aside from being the most health oriented in the batch, it creates the tastiest popcorns whether in the stove, air-popper, and electric popper. It goes well with microwave too. The high price is well worth it.